Only the AK had a drink in this video tho. Does anyone else find it interesting how A LOT of people leave comments on YouTube videos? I guess the barrier to leave a comment is pretty low because you’re probably watching it logged in from the YouTube app. It just always shocks me that people will just leave a quick “I like this video” type comment just to show support. Good stuff letting the video guys know to keep it up. Without YouTube videos there would basically be no ENDO. You guys know damn well I’m not ever going to read and dissect actual articles, or even worse be force-fed preroll ads on various other video sites with GuN CoNtEnT. PLAGH Smirnoff ice! My girlfriend put me on to mixing it with beer, and that’s cool, but by itself it’s like sugary poison. Coors light. 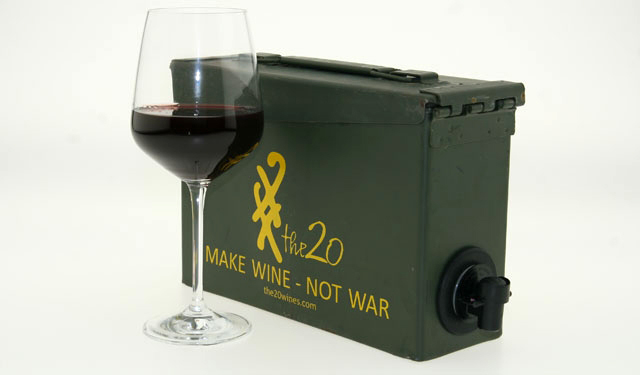 Meh… I’ll drink it in a pinch as long as it’s ice cold. I liked the way the champagne and wine exploded when shot lengthwise. That was cool. Richard is wearing the Deagle Brand Deagle t-shirt from ENDO Apparel you should pick up if you don’t already own it. 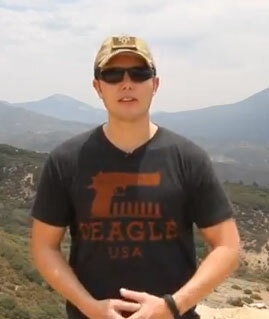 The omnipresent California No Right To Bear Arms t-shirt in that video of course! 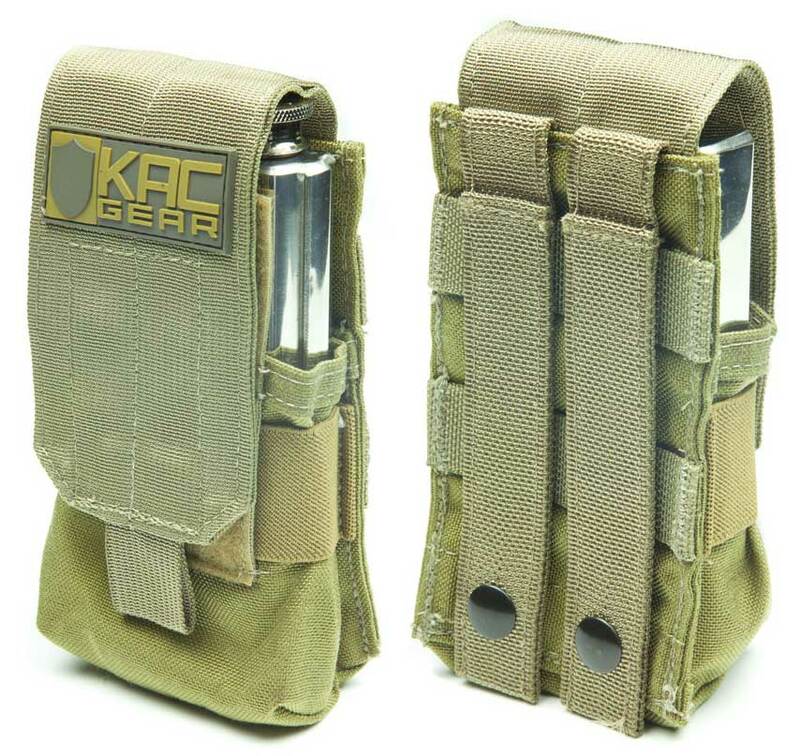 $57.50 over at KACgear, and you get that slick pouch with it as well. 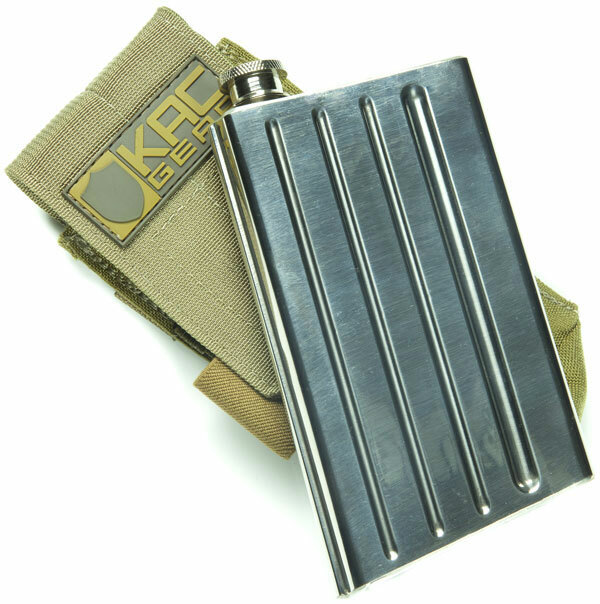 Make sure you decide how many of these you need on your tactical drinking load-out based on a simple formula using your tolerance for alcohol, and the level of good of times you want to have. The flagging of the account, and not allowing access to the shooting range is a good idea. People are just flipping out because they aren’t paying attention to the details. 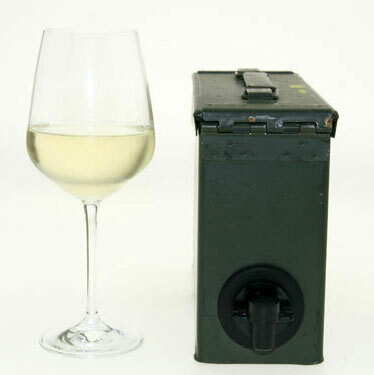 Like the video and the article mentions, you can already carry a gun into Georgia restaurants that serve alcohol. Not to mention the fact that most of us have gallons of alcohol at home along with access to all of our firearms.Just like everything else potentially dangerous, it’s all about how responsible you are. The alcohol is kept in 1 out of 6 chambers in the revolver. 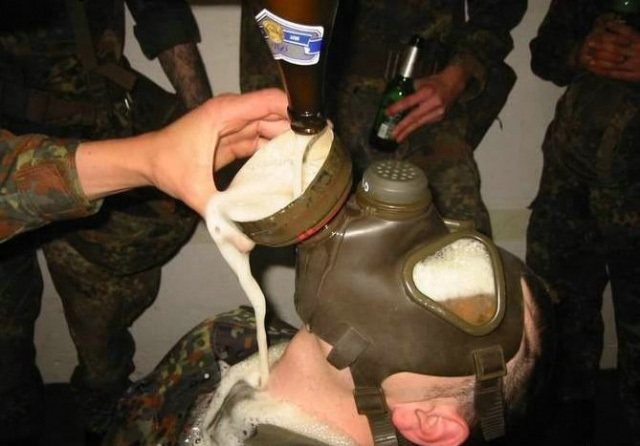 You have the gun tilted up and pull the trigger… if you hear a click you’re dead (the alcohol chamber aligns with the barrel)… so naturally you put it up to your mouth tilt the handle upwards and pour the alcohol out into your mouth. After seeing the video, I associate the product with douchebags trying to look and act suave. If that’s what you’re going for, and mock suicide firearm related games are your thing, then by all means head over to Amazon and pick one up for around $15. You might be playing Russian roulette with your wallet though because the reviews are mostly terrible. This isn’t the first time I’ve posted about Russian Roulette games, or Alcohol guns: See Balloon Russian Roulette, Alcohol Gun, and the Beer Blaster Gun.